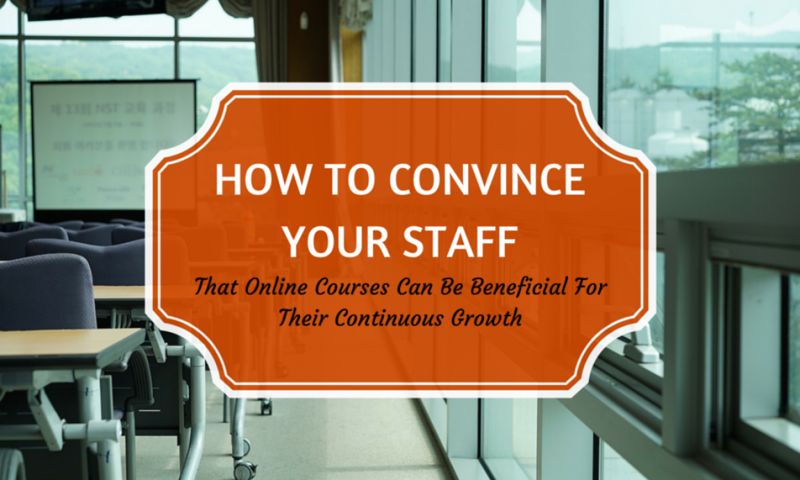 In the Internet Age, many employees still have doubts about enrolling in online courses as part of their career development goals for various reasons. These reasons include the fears that online training is unacceptable for certification purposes, unchallenging in comparison with classroom learning since the latter involves learning at your own pace, and uncommon among their fellow professionals. While these are unfounded fears, you may encounter hesitation among your employees when you offer them online learning courses. Fortunately, you can overcome their hesitation by keeping these tips in mind. Social proof is a principle in psychology that emphasises the impact of the actions of others on the decision made by a person. Basically, your employees will likely follow the actions of others when they see the benefits in concrete form. Ask others who have benefited from the online courses to discuss their experiences with your employees in both a formal (e.g., presentations) and informal (e.g., coffee breaks) settings. Your willingness to tap into social proof, even take advantage of an existing herd mentality will work in your employees’ favour. You will also benefit from their enrolment in the online courses as more knowledgeable and skilled employees can result in more office productivity and staff morale. Be as specific as possible about the benefits of enrolling in and completing online courses for your employees. Flexibility in learning. Online training allows for flexibility in schedules although students should comply with schedules of completion. Anywhere and anytime access. Online training is a web-based form of learning that allows students to log in to their classes anywhere and anytime with an Internet-connected computer. Students can learn during their free time. Cost-efficient and results-effective learning method. Online training is cost-efficient because there no costs for travel, accommodation and downtimes, while also being results-effective as the quality of knowledge and skills gained are the same as with classroom-based training. Other benefits of online courses are the opportunity to engage in interactive learning with a global community of students and teachers; relevant knowledge and skills for the technology-driven industry; and expert support coupled with real-time progress monitoring tools. You can also tap into the principle of reciprocity wherein you are providing your employees with favours brought by their enrolment. These favours can be inexpensive yet valuable, such as credits toward their promotion.